The Pokémon GO Plus is a peripheral that works with Pokémon GO to enhance the experience. It connects to the mobile device by using low power Bluetooth and allows for the game to be played without having the phone in your hand. It has various functions in the game that allow for you to continue to play without having to reach for your phone, with the app running in the background. It comes packaged with a wrist strap or a clip for preferred placement. 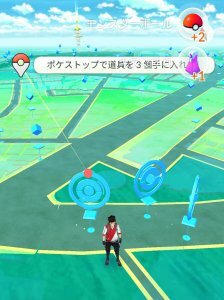 PokéStops are a major use for the Pokémon GO Plus. 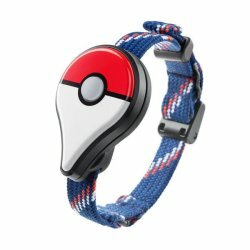 When within range of a PokéStop, the Pokémon GO Plus device will blink and vibrate. 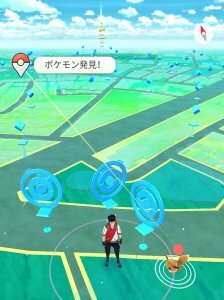 If you press the button, the PokéStop will be searched and items will be added to your inventory. The main use for the Pokémon GO Plus, however, is to capture Pokémon with it. This works a bit differently to the standard capture. When you're within range of a Pokémon, the device will begin flashing and vibrating. If you press the button, it will throw a ball and determine if you have captured the Pokémon. After the button press, there are two different results. Rainbow - If the device begins flashing a rainbow colouration, then the Pokémon has been captured. The Pokémon GO Plus can capture Pokémon that you have already captured and added to your Pokédex as well as ones you have yet to see. 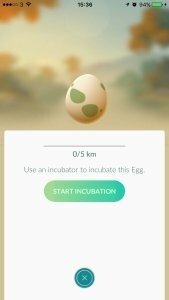 If the Pokémon is new, it will appear with a Yellow indicator rather than Green. The Pokémon GO Plus shares some similarities in concept to the Pokémon GO for Apple Watch software. However, there are various things that each option can do that the other can't so depending on how you play.